“Believers must not attend these churches if they consider themselves to be Orthodox Christians . . . The Ecumenical Patriarch Bartholomew is responsible for this situation—he must recognize his error,” said Metropolitan Hilarion. 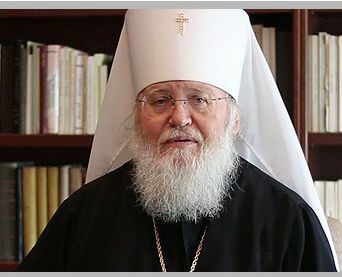 On December 17, 2018, Metropolitan Hilarion (Kapral), First Hierarch of the Russian Orthodox Church Outside of Russia, stated that the decision of the Constantinople Patriarchate along with the active participation of the Ukrainian government to grant autocephaly to the Orthodox Church in Ukraine may provoke bloodshed and violence. “His move only deepens the division among the faithful in Ukraine,” said Metropolitan Hilarion to TASS News Service about the Ukrainian situation. His Eminence Hilarion fears that the forcible actions by the Ukrainian government could lead to instances of martyrdom among the flock of the Ukrainian Orthodox Church. “This is a very bad situation. We pray that the Lord grants peace to Ukraine and her people and that Orthodox Christians remain true to the Church of Christ and do not succumb to the artificially-created religious institution,” added the Primate of ROCOR. According to Metropolitan Hilarion, it is possible to correct the situation and restore unity within the Church and parishioners if Constantinople retracts all its preceding decisions and actions with regard to the Ukrainian Church. “The Ecumenical Patriarch Bartholomew is responsible for this situation—he must recognize his error,” said Metropolitan Hilarion. Metropolitan Hilarion noted that ROCOR will also have no communion with the Constantinople Patriarchate until it corrects its great mistake. On December 8, 2018, the Synod of Bishops of the Russian Orthodox Church Outside of Russia declared its full support of His Beatitude Metropolitan Onuphry and the clergy and flock of the UOC.